Years ago I used to sell outdoor gear, I was an Outfitter. I worked in the DC Metro area which was an interesting place to sell high end gear for a number of reasons. One, there is a lot of money there so we could afford to sell the very best. Two, it was a pit stop for some as they would have to come to DC to get funding for their trips and came to us for answers. And three, we had an interesting collection of no named people come through because of our proximity to the Pentagon & Langley. 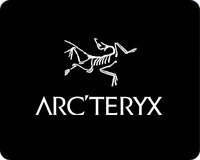 At the time, Arc’teryx was just starting to get a hold on the east coast market and they were known in the inner circles to have the best stuff around. In the spring of 2002 we had some strange characters (CIA prepping to go over to Afghanistan) come into the shop asking for the best gear and systems for mountainous regions. We all pointed to Arc’teryx. Well it looks like someone at Arc’teryx was watching as they have since started the LEAF (Law Enforcement & Armed Forces) program. Essentially they make super uber gear for special ops and SWAT. In most cases you have to have a .gov .mil email to get the goods but this seems to be relaxing as of late. This brings us to Atom. The Atom LT is the first item in the brand’s history that started on the LEAF side, and migrated over to the Commercial business. The Atom is an Insulated, mid-layer jacket with wind and moisture resistant outer face fabric. It is an ideal layering piece for cold weather activities. I purchased the Atom as an alternative to my myriad of fleece jackets. One of the things I hate about fleece is that whatever you are wearing under the jacket gets all bunched up in the sleeves when you put it on. The Aton has a nylon lining so material slides easily over your base layer or under your shell. One of my general philosophies on survival is if you can help it, make it light. The lighter the gear the more gear you can grab. If you need to bug out with only your bug out bag (BOB) then you want to carry as much stuff on your back as you can. In my opinion the best way to do this is by buying light pieces that make up your system. This does not have to be expensive; it just needs to be well planned. Under the light weight heading the Atom is incredibly light. When you first pick it up, you think there is no way this thing will keep you warm. One of the major features is its ability to compress down to be stored in a backpack. It is not as compressible as down but it’s worth the extra space in my opinion since it’s a synthetic and will still keep you warm even when wet. The core of the Atom is 60 grams of Coreloft (synthetic insulation,) that provides in my experience, very close the warmth of down for the weight, I’m thinking maybe 80%. 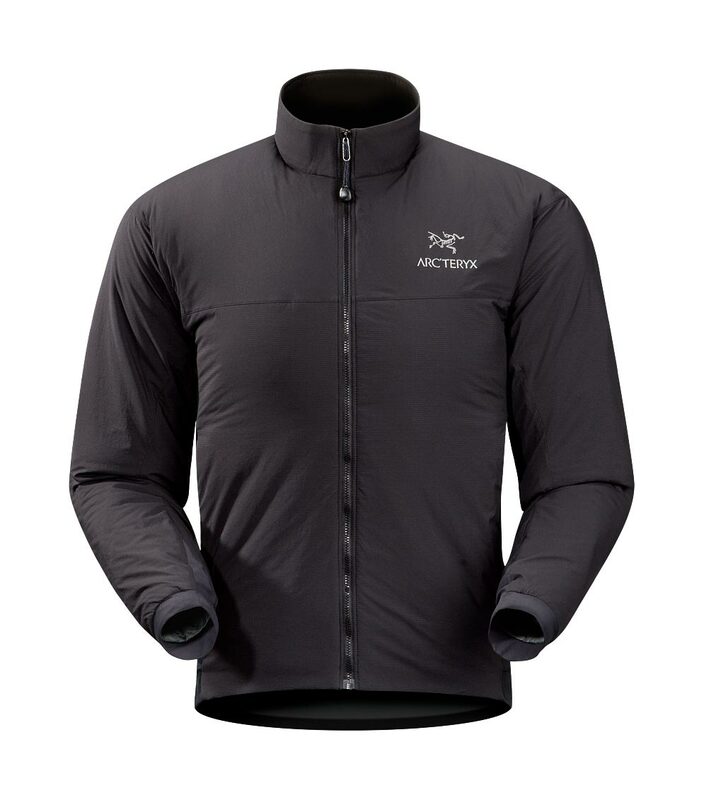 The Atom has side panels that utilize Polartec Hardface fabric. These side panels give the jacket an athletic fit which is great when worn under a shell as this lessens the bunching of fabric. Also, the Hardface fabric broadens the comfort range as it allows venting. The panels act like pit zips as they run from under the armpit all the way down the side to the bottom of the jacket. The shell material is a super lightweight (1.2 oz sq yd) Nylon called Luminara that has a DWR finish that fends off light rain and snow rather well. I have worn it in the November rains and it has had no issues with wetting out. It took me a while to figure this jacket out. By no means is it a jacket that you could ware to a January football game with a shell on and be warm just sitting there. I think Down is really your best bet there. The Atom shines when you are moving, be it cross country skiing, hiking, hunting upland game, or backpacking in the winter months. It is far warmer than you would expect as it really is crazy light. If you don’t team it with the right base layer you will be sweating bullets. That being said this jacket is a midlayer. It also fits like one. If you think you are going to get a big sweater or fleece under this jacket in your normal size you are mistaken. I am 6’1” 200lb and the XL from Arc’teryx has always fit me like a glove. The Atom in XL is fit as a midlayer (you can get an R1 under it no problem) but it’s thin enough to be worn under a shell. Again if it is supper cold, you may have to go with a beefier fleece under the shell to stay totally warm. The Atom has two hand warmer pockets that are fleece lined on inside which is nice when your hands are freezing. There is an inside pocket for your wallet or phone. It has stretch cuffs that don’t seem to get in the way and will easily go over gloves. Other than that it is fairly minimal. I have always thought that great gear is like modern day armor against the elements. You really get a sense of this when you put on an Arc’teryx piece. The Atom LT is no different; it’s a great jacket that’s not fleece for urban assaults or any number of outdoor activities. If you’re reading this you should check out The Death of Fleece over at Kyle Defoor’s Blog. I’m with him, the Atom has killed the fleece!